Process of removing earth, stone, or other materials covering the remains of ancient civilizations. The process of digging a hollow in the earth. An uncovered cavity in the ground. The removal of earth from its natural position; the cavity that results from the removal of earth. the process of removing rock or earth from a solid, broken, or unconsolidated layer by means of an excavator, bulldozer, scraper, or similar machine. In earthwork practice, the term “excavation” may also include the entire work cycle, that is, digging, transportation, and dumping of the earth with excavators. Soft, loose, and dense rock is usually excavated directly from the solid formation by successive removal of layers of ground; rock that has been broken up beforehand is excavated from piles or loosened layers. Three types of excavation are distinguished according to the mutual position of the face and the horizon on which the machine is working: the face may be above or below the machine horizon, or a combination of the two arrangements may be used. 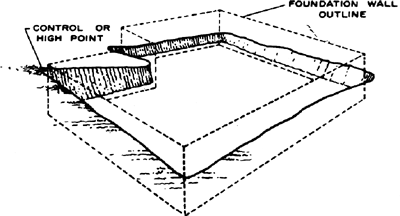 Because digging is the principal component of the process of excavation, it is conventional to describe the process with respect to the specific resistance to digging. This quantity is affected by the physicomechanical properties of the rock or earth, the type of excavating machine used, the design and dimensions of the working member, and the procedure followed in working the face. Dombrovskii, N. G. Ekskavatory. Moscow, 1969. Rzhevskii, V. V. Protsessy otkrytykh gornykh rabot, 2nd ed. Moscow, 1974. Beliakov, Iu. I., and V. M. Vladimirov. Sovershenstvovanie ekskavatornykh rabot na kar’erakh. Moscow, 1974. 1. The removal of earth from its natural position. 2. The cavity resulting from the removal of earth. She said that they had engaged local labourers for the excavation who worked under supervision of a five-member team. The Ministry of Heritage and Culture (MHC) and the Sultan Qaboos University (SQU) are conducting the excavations. Head of Sweida Archaeological Department Nashaat Kiwan told SANA that some little clay fragments and a clay lamp which dates back to the end of Hellenistic era, as well as a coin, were discovered during the excavations. In this report we present the treatment and follow-up results of three eyes of two patients with the rare condition of focal choroidal excavation. Graham Murdoch, technical director of James Fisher Subsea Excavation, is part of a team that has been responsible for the successful completion of more than 400 projects over a period of 18 years. The excavation runs until April 28 and is the first of a busy season of digging in 2015, offering a tremendous opportunity for budding archaeologists to join in the excavation for as little as half a day or for all 10 days. Prospect Genius will call on a variety of tried-and-true Internet advertising tactics to help JNR Excavation improve its Web prominence. The ongoing excavation at site began in mid- January and in the last three months, ASI team has found a rare 12th century sculpture of Vishnu, a seal in terracotta from the Gupta period, pottery typical of the Kushan and Gupta periods, terracotta human figurines, ivory pendants, human figurines, a Gajalakshmi tablet and structures from the Mauryan period and copper coins. ySTANBUL (CyHAN)- Ongoing excavations at the GE-vercinkayasy Tumulus, in Aksaray province, are shedding light on the urban, socioeconomic and sociopolitical life in the Middle Chalcolithic Period (c.
So far 80 skeletal remains were recovered after the completion of the excavation for the 31st time. Several sections of the media claimed that the ASI began excavation work after seer Shobhan Sarkar dreamt that 1,000 tonnes of gold is buried under the ruined fort of King Raja Rao Ram Bux.